Condor Shoulder Pistol Holster |ReplicaAirguns.ca | New Website! Comments: The Condor Shoulder Holster is a vertical shoulder rig designed to carry medium to large sized pistols. 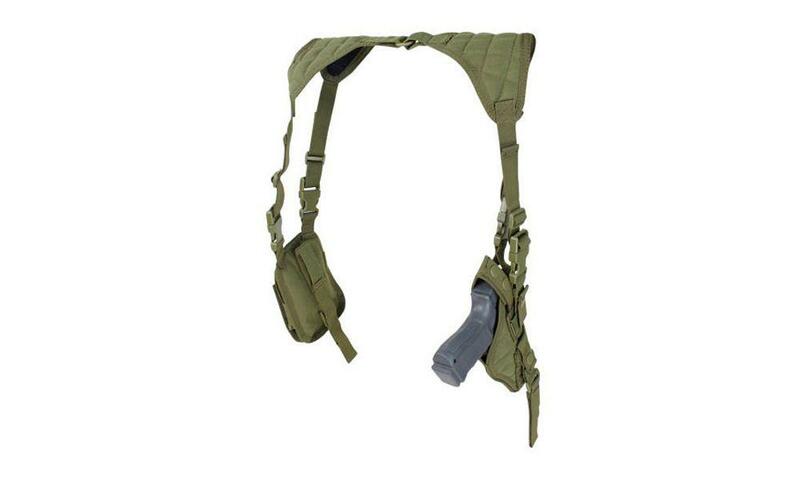 The modular design accommodates both right and left handed users, and comes with double mag pouches. The straps are fully adjustable and padded for a comfortable fit.